Capital allocation is a significant function for company directors. How much of the company’s profits gets reinvested in the business rather than distributed to shareholders through cash dividends or share repurchases is a critical decision companies must make. Boards of directors typically approve a dividend policy and precise amounts for each quarter: Everyone knows that cutting the dividend will result in a sharp decline in the share price. Yet in many companies, decisions about the level and timing of share repurchases are left to management. That stems partly from differences in legal requirements: The board must formally approve the amount of the company’s quarterly dividend but not its repurchases. Moreover, the implementation of the repurchase program is heavily influenced by the company’s actual cash flows. Nevertheless, share repurchases are something to which directors should pay more attention. Specifically, directors should carefully consider the capital allocated to repurchases relative to the company’s realistic opportunities for value creation through internal development or external acquisitions. They should be highly skeptical of large repurchase programs that are financed by selling debt rather than paid for out of company profits. From 2014 through 2016, distributions to shareholders — dividends and repurchases together — consistently exceeded 100% of the net income of the companies in the S&P 500. During the same period, share repurchases for the Russell 1000 companies (excluding financial and real estate companies) ranged from 62% to 71% of the free cash flow (net income minus capital expenditures). These trends seem to reflect a slowly growing global economy, together with the availability of very cheap debt. According to ASR Research, roughly half of all share buybacks were financed by debt rather than profits. Share repurchases are sometimes justified as a way to maintain and increase a company’s share price. However, this view is not supported by the data. The 100 companies with the highest buybacks in the S&P 1500 underperformed that index from 2005-2016. Why have these companies underperformed? First, sophisticated shareholders know that share buybacks increase earnings per share (EPS) by spreading the same amount of revenue over a reduced number of shares. To these shareholders, buybacks are seen as a form of financial engineering for companies with weak growth prospects. Read the full post at MIT Sloan Management Review. 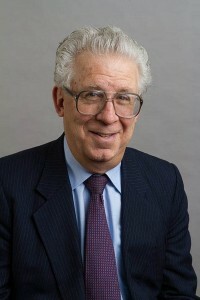 Robert Pozen is a Senior Lecturer at the MIT Sloan School of Management and a Senior Fellow at the Brookings Institution. This entry was posted in Finance/Financial Markets and tagged capital allocation, MIT Sloan, Robert Pozen, share repurchasing by mitsloanexperts. Bookmark the permalink.